It’s impossible to have healthy teeth without healthy gums! Yet in Australia the average percentage of people with this disease is around 22%. People over 65 have rates approaching 53%! And gum disease is the leading cause of tooth loss in adults. In addition, some studies link it to serious health conditions including stroke, diabetes, and ulcers. 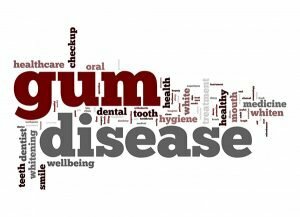 Gum disease (Gingivitis at the outset, Periodontitis when it becomes serious) is an inflammation of the gums caused by bacteria in plaque; a sticky, colorless film that forms on teeth. If plaque is not removed by daily brushing and flossing, it builds up and the bacteria eventually infects the gum tissue and bone that support the teeth. This can cause teeth to become loose, fall out, or require removal by a dentist. Hormonal change are linked to gingivitis. At puberty, for instance, prevalence of gum disease ranges between 70%-90%. Alcohol affects oral defense mechanisms. Poor nutrition can increase the formation of plaque. Also, a deficiency of important nutrients such as vitamin C will impair healing. Diabetes impairs circulation and the gums ability to heal. Early stages of gum disease don’t require surgical treatment. Changes including improving your home oral habits (i.e. brushing and flossing more regularly, more often, and for two minutes at a time), giving up smoking, and improving your diet can improve your existing gum health while also reducing your risk of future disease. Medications. Prescription grade antimicrobial mouthwash, oral antibiotics, and enzyme suppressants can be prescribed to eliminate bacteria and enzymes that attack gum tissue. Other medications, like antiseptic chips, antibiotic gel and microspheres, work hand-in-hand with a non-surgical option, deep cleaning, to control bacteria and reduce periodontal pockets. Deep cleaning is a two part process of dental scaling and root planing. Dental scaling removes the plaque, tartar, and biofilm build-up from the surface of your teeth and beneath the gum line. Once this procedure is completed, the root surface is scaled and smoothed as part of root planing. This allows gum tissue to reattach to the teeth, and prevents future plaque, tartar, and biofilm development, thus protecting from further gum disease. Dental scaling and root planing can be performed as an individual treatment or in advance of surgery. In extreme cases surgical treatment is the only way to eliminate infection. If inflammation and deep pockets in the gums persist after deep cleaning, your dentist may recommend flap surgery. This surgery involves removing tartar that cannot be reached with scaling or root planing. After the procedure, gum tissue is fitted to heal snugly against the teeth, decreasing the room for bacteria and tartar to take hold. When severe periodontitis has caused bone or gum tissue loss, grafting may be recommended alongside flap surgery. Using either a natural or synthetic material, bone or gum tissue will be placed to stimulate replenishment in the damaged areas. Guided tissue regeneration may also be necessary, in which a small piece of mesh-like material is placed between the bone and gum tissue to allow proper regrowth of bone and connective tissue. Obviously, these treatments can be invasive and expensive, so you want to do everything you can, at home, to keep your gums healthy! Alex Bratic Dental Care in Beenleigh, your dentist delivers the trusted dental services to patients of all ages. 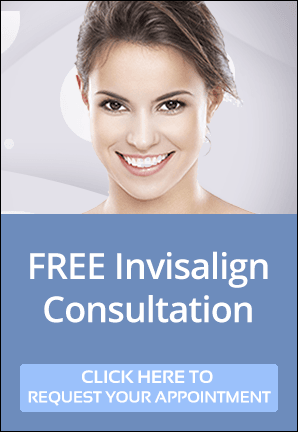 We want to help you keep your gums in tip-top shape, so they can support your stunning smile! Alex Bratic Dental Care is located on City Road at Beenleigh, with convenient public transport nearby and free onsite parking. Call us at (07) 3287 2627 or request appointment today! PreviousPrevious post:Oral Care Tips For Your Holiday SmilesNextNext post:Can Diabetes Affect Your Teeth And Gums?